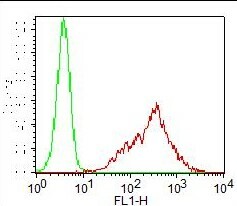 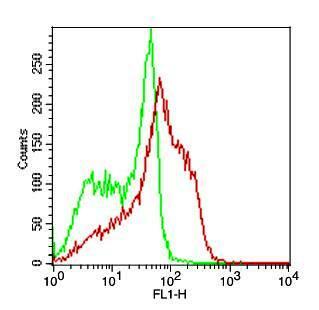 Fig-1 :Flow analysis of human TLR4 antibody (Clone:ABM19C4): Cell surface staining of PBMC, Red represents hTLR4 FITC, Green represents Isotype control mouse IgG2b FITC. 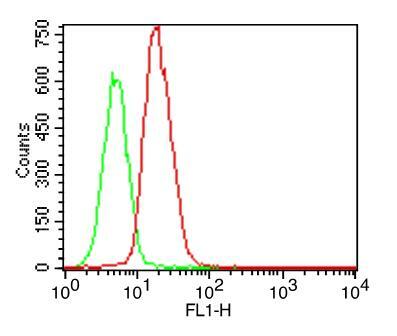 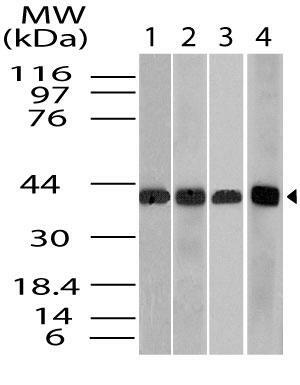 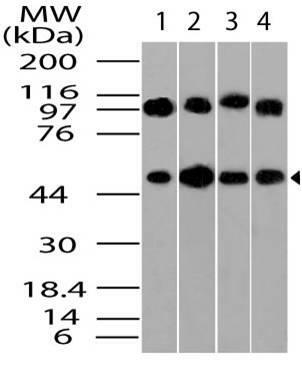 0.5 ug antibody was used. 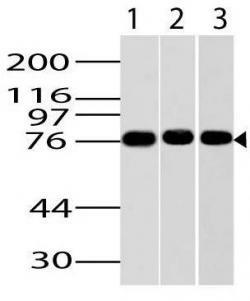 Immunogen Information : A partial length recombinant TLR4 protein (amino acids 45-320) was used as the immunogen for this antibody. 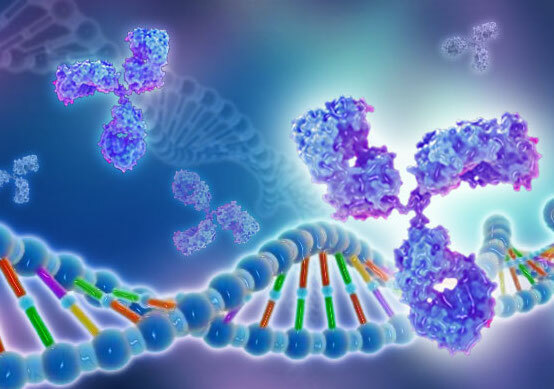 TLR4 (Toll-like receptor-4) is a member of the Toll-like receptor (TLR) family which plays a fundamental role in pathogen recognition and activation of innate immunity. 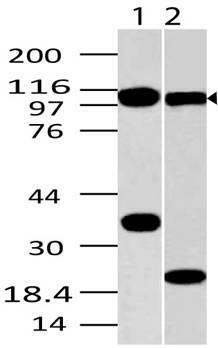 It primarily mediates cellular signaling induced by Gram?negative bacteria. 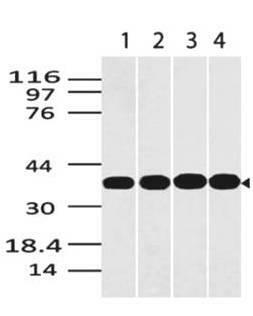 TLR4 is highly specific for LPS and it is associated with CD14, a co-receptor for LPS. 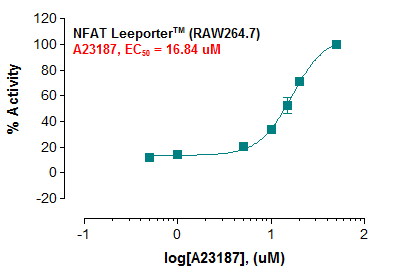 The downstream signaling pathway of TLR4 leads to the activation of NF-kappaB through myeloid differentiation protein (MyD88) and IL-1 receptor-associated kinase in various cell types. 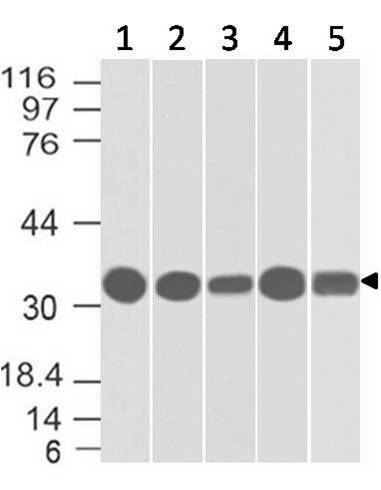 Keratinocytes express TLR4 at the mRNA and protein levels whereas TLR4 are also present in the normal human epidermis in vivo and their expression is regulated by microbial components. 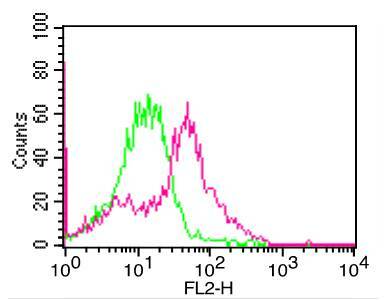 TLR4 is expressed on CD4+ T cells as well, the functional significance of which is unclear. 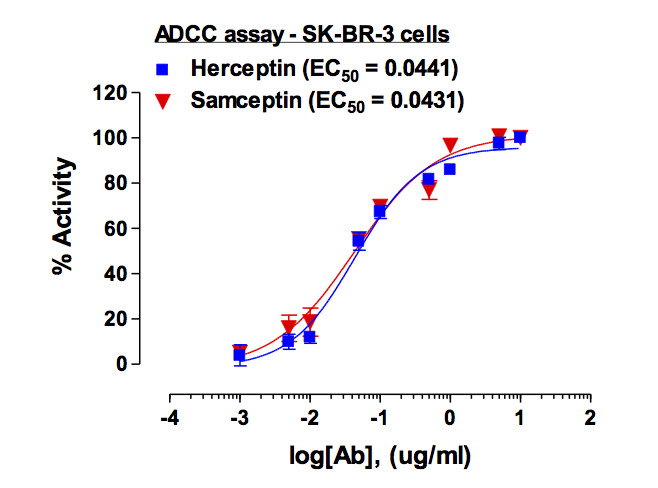 Content : 0.2 mg/ml in Tris buffer and 0.05% sodium azide. 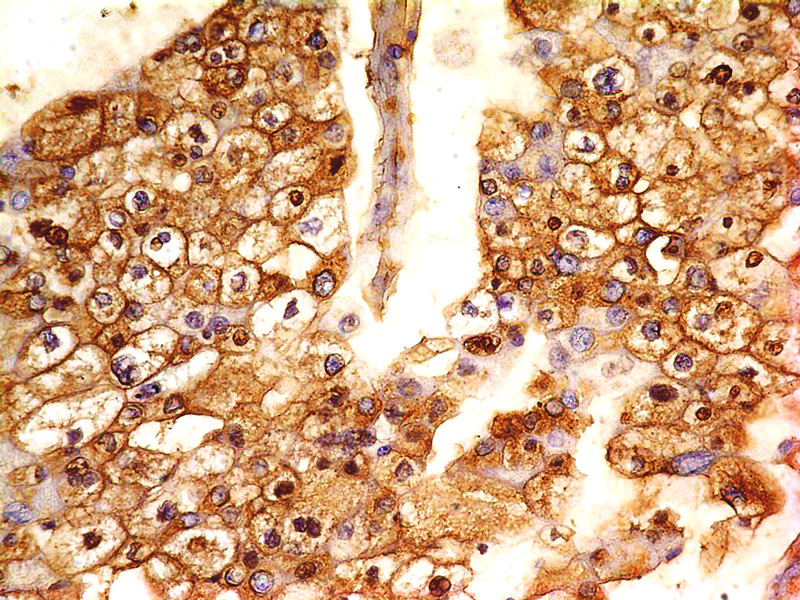 Sodium azide is highly toxic.